RSI (Repetitive strain injury) conditions: Carpal Tunnel Syndrome, Ulnar Nerve Entrapment, DeQuervains Syndrome, Thoracic Outlet Syndrome, Tennis Elbow, Tendonitis, etc. Though the term “Seifukujitsu” is largely unknown in this country, it is immediately recognized in Japan and Hawaii as an alternative therapy that often works where other, less-tested therapies fail. To balance the energy in the body. To break down soft tissue areas of the body that have been injured to allow them to properly heal. Chinese medical practitioners have proven that health problems will occur when the body’s natural energy flow is interrupted. Restoration of the natural flow eliminates the problem. Again, thousands of years of Asian experience has proven the value of deep tissue work, and the “deep work” done at the Kodenkan Clinic is like no other. Combined with herbal formulas, our success in treating difficult ailments is enviable. 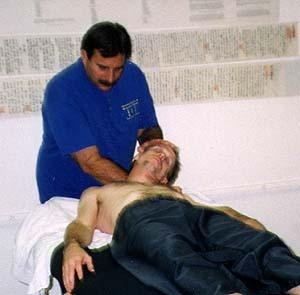 Hundreds of our clients will attest to the soothing and beneficial Seifukujitsu therapy. With our techniques, even injuries from five years ago or more that are still painful or bothersome can be restored – often, to its fully healed, pre-injured state. This is unheard of in traditional therapy, but occurs regularly with Seifukujitsu. Restoration Therapy is a 1500 year-old technique with incredible success in treating sprains, strains, bruises, chronic pain and many other hard-to-cure ailments… even migraines and fatigue! Our founder, Henry Okazaki, was the foremost exponent of Restoration Therapy in America, creating his Nikko Restoration Sanatorium in Honolulu in 1929. In fact President Franklin Roosevelt, a polio victim, was treated by Prof. Okazaki…and Roosevelt said Okazaki was the only person who actually helped him with his ailments! Okazaki also treated dozens of other politicians and celebrities like George Burns, Charlie Chaplin, Carol Lombard, Johnny Weismuller and many others. Whether for Jujitsu training or Restoration Therapy, these celebrities often made Prof. Okazaki their first stop in Hawaii. The tradition of experience, success and learning was passed down from Okazaki to Sig Kufferath, the professor’s number one student. And again, this rich experience has been handed down to Clinic founder Tony Janovich, Kufferath’s number one student. Put 5000 years of Chinese traditions, 1500 years of Seifukujitsu and over 90 years of local experience to work for you! Kodenkan Restoration Therapy 1196 South De Anza Blvd. “By 1991 I had gone through 3 fusions and 2 discs were removed from my back. I had been suffering severe pain daily, deep spasms, headaches, no energy and depression because of the great pain I suffered. 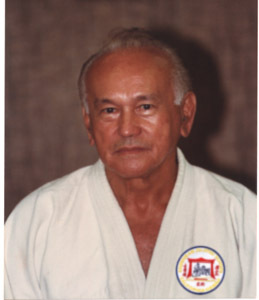 Prof. Kufferath began his study of Jujitsu and Restoration Therapy under Henry Okazaki in the 1930s. He had treated thousands of patients with great success. He continued to practice the arts he mastered some 60 years ago under Okazaki until his death on May 7, 1999. 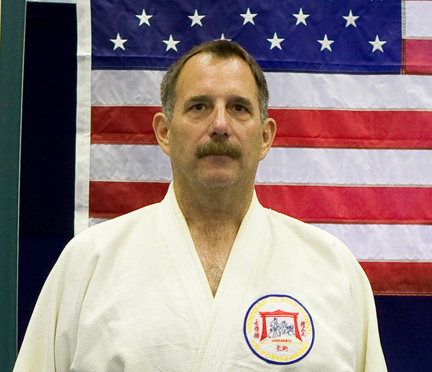 Prof. Janovich began his Jujitsu study under Prof. Kufferath at the age of 12. 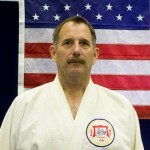 He has run The Kodenkan Jujitsu and Restoration Therapy Clinic since 1973. Medical doctors have referred hundreds of patients to The Kodenkan and are amazed at the results. Prof. Janovich also teaches restoration certification courses here and across the country.